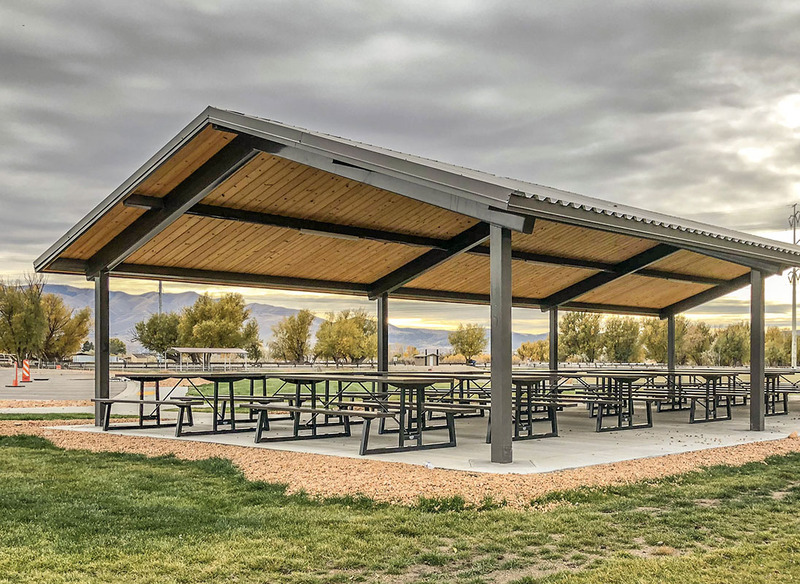 Looking to add a ramada to your city park? We offer pavilion kits that match your style and need. Call us today at (801) 414-1724 to get started on your ramada order. At Smith Steelworks, we are the manufacturer, not a third party representative group. What does this mean for you? The best price on all shelters, without having to pay a middle man. We will also work with you every step of the way from manufacturing to shipping. We service all of the United States and parts of Canada. Designed with no low hanging beams to discourage climbing. Choice between mega rib roof or shingles. Pavilion roof type options including: Gable, Clerestory, or Hip Roof. Powder coated finish for the steel beams. GluLam Beam Pavilions feature a Gable Style with wooden beams and deck. 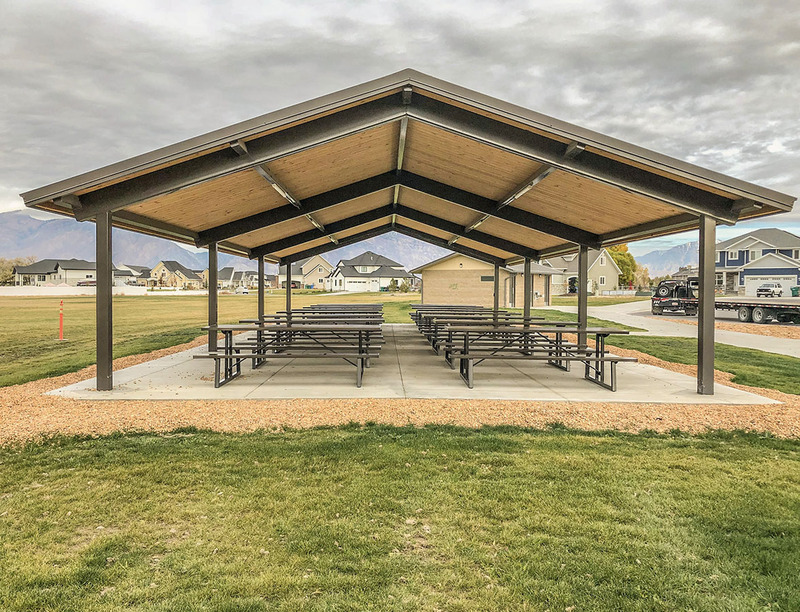 Steel Pavilions are available with steel purlins and choice of metal or wood deck. What Is Included With Ramada Purchase? Each pavilion comes with stamped, engineered drawings. A lighting kit is available with each kits. Everything needed for shelter comes in the kit.This includes: roof, beams or purlins, columns, and more. Call today to get started on your ramada order.